Arabic Political Comedy: A Vector for Liberalization? When the “Arab Spring” seemed to promise a transformation from autocracy to citizen empowerment, Bassem Youssef—an Egyptian medical doctor by training—carved for himself an unprecedented niche in Arabic-language media. First on YouTube in 2011, then on broadcast television, Youssef became the “Egyptian Jon Stewart”, the first comedic commentator on serious news. And while Youssef’s program lasted through the confused mandate of Mohamed Morsi only to fold unceremoniously with the ascent of Abdul Fattah al-Sisi to the Egyptian presidency, his groundbreaking material catalyzed a paradigm shift in the production and consumption of news material in the Arab world. Youssef’s example has inspired multiple attempts in a variety of locales to adopt his formula to present commentary on their own political systems. Far from a rogue experiment, Youssef’s broadcast opened the gate for substantial developments in the landscape of new media in the Arab world, now an untamable force that regional governments are best advised to accommodate. Political comedy is not an intruder to the region that can be chased away; rather it is a genre that responds to a demand for independent analysis and humor that the region’s populous new generation craves. Properly leveraged, political comedy may serve as a platform for mitigating tensions between the political class and society at large. As such, it may even constitute a modest vector for some putative liberalization of speech. The alternative approach to managing this media phenomenon—repression and denial—will almost certainly produce counter-productive results. To understand the thirst for this type of media, it is important to reflect on past developments in Arabic-language news. For decades, television news bulletins in the Arab world adhered to a formula of somber delivery of news items, consistently presented according to a state-mandated hierarchy. The activities of the ruler appeared first, with an emphasis on his various communications with peers worldwide. While rich in visuals of pomp and circumstance, the substance offered was meagre: “His excellency met with his distinguished guest and discussed matters of common interest” seemed to be the daily mantra across the Arabic sphere. Briefer news of other officials rounded out the coverage of domestic affairs, and afterwards a segment on regional developments typically highlighted the perfidy of a neighboring foe. Israel was certainly a permanent fixture, but news anchors generally reserved the harshest polemical condemnations for rival Arab leaders. International news often consisted of the calamities, natural or human-made, suffered by the rest of the world. More demanding news seekers resorted to patching information from international radio broadcasts; viewers first relied on BBC Arabic service during the last decades of the twentieth century, and Radio Monte Carlo intermittently succeeded in establishing itself as a dynamic and reliable alternative to stale and pre-packaged news. Well into the seventies, the Arabic service of Kol Yisrael was also sought out as a counterweight to the Pravda-like dearth of information in Arab state media, though Israel seems to have abandoned its successful brand in the 1990s. Al Jazeera ushered in the first paradigm shift in mass media consumption in 1996 by offering viewers the novelty of multiple reads on information, call-ins, and opposing points of views. That Al Jazeera was selective and biased in its coverage and sought the promotion of ideological positions fostered by the Emir of Qatar was immaterial; the model of subjecting news to debate and critique soon emerged as the expected norm for viewers. Governments could not suppress the demand for this style news coverage; they were instead forced to seek equivalent alternatives. UAE-based and Saudi-owned Al Arabiya emerged as an especially potent competitor, providing viewers with critical, meaningful content, while steering them away from Qatari bias and towards a more conservative Saudi point of view. The “Arab Spring” fifteen years later revealed that in addition to the competitive and over-saturated broadcast scene, social media had evolved as a prime destination for a new generation of consumers and producers of information, skeptical of state-sponsored media and demanding critical scrutiny. Bassem Youssef is a product of this evolution, having crossed-over from social media to brick-and-mortar established broadcasting. His innovation was the adoption of a light-hearted, critical, sarcastic, even cynical approach to the news that deeply contrasted with the seriousness of previous presenters. 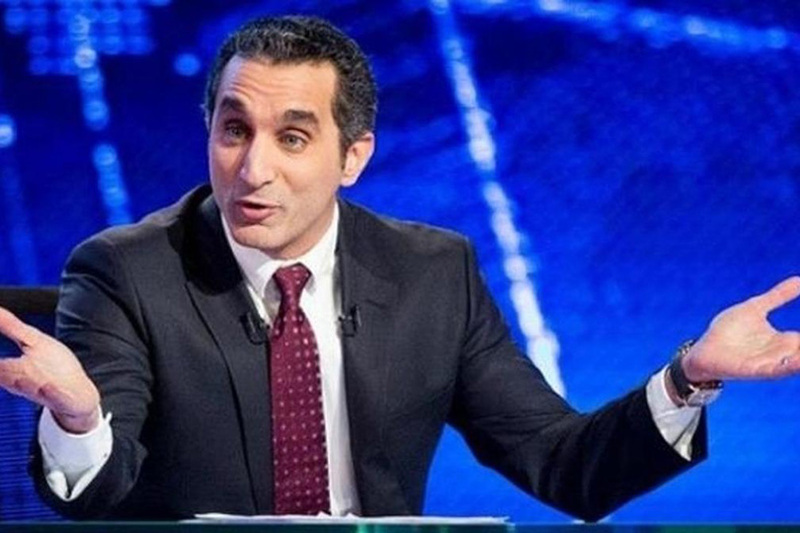 With Bassem Youssef’s daring comments, the aspiring totalitarianism of the Muslim Brotherhood in Egypt was exposed in all of its atrocity and absurdity―as a serious concern to be confronted, and as anachronistic and atavistic ideas detached from reality. He launched a radically different alternative to previous methods of confronting autocrats and theocrats. Youssef exposed the ridiculous to laugher merely by emphasizing the contradictory and the deceitful in politicians’ statements and actions. In a political culture where authority is based on gravitas and the inducement of fear, Youssef’s formula was particularly devastating to the new and ill-prepared rulers. Ample anecdotal evidence suggests that the fraying of support for the Muslim Brotherhood was due to his wit and initiative. His detractors have even suggested Youssef had the support of the military to soften the public in preparation for the July 2013 coup. While no evidence has been presented to corroborate this accusation, the military evidently understood the power of Youssef’s formula and swiftly acted to end his program once they took control. Yet the Youssef model has lived on, and comedy cannot be so easily quashed. Comedy as resistance has proved an effective and popular means of protest across the region. In Libya, the “Gusto” program courageously mocked the anthems of the “Islamic State,” challenging fear with laughter. In Lebanon, seasoned journalist Nadim Koteich sarcastically deconstructed the claims of pro-Iranian media, providing almost single-handedly a powerful antidote to an information campaign conducted by Iranian proxies with the intensity and resources of a full-fledged psychological operation. From Morocco to Iraq, political comedy has hovered between broadcast outlets and its original birthplace in social media as the new outlet for open expression. Today’s Arab leadership must recognize that political comedy, like the now established media norms of Al Jazeera and Al Arabiyah, are here to stay. The stakes for Crown Prince Muhammad bin Salman (MbS) and Saudi Arabia are extremely high. Safeguarding the Kingdom in the face of structural and external threats is a colossal task towards which MbS seem to provide a rare credible track. However, the process is still laden with missteps and inconsistencies, including the temptation towards a self-defeating absolutism. The young prince also seems to be demanding active enthusiastic support for all his decisions, even those which are evident wealth and power grabs, with jail and harsher sentences as the alternative. With extensive resources insuring widespread and multi-faceted messaging, MbS appeared to be equipped to exclusively control the narrative of the New Saudi Arabia. Enter Ghanem Al Dosari. From a private residence in London, this “star” of the “Ghanem Show,” a YouTube channel mixing well informed insights with commentary that ranges from deeply sarcastic all the way to obscene, provides a running comedic critique of Saudi King Salman, MbS, and the Saudi royals in general. His musings range from the burlesque to an impassioned call for insurgency. Even cursory analysis of the deprecating monickers he applies to the Saudi principals hint to his success in penetrating the Saudi social media scene. And Dosari’s model has proven successful even in MbS’s Saudi Arabia. His prestige was plainly demonstrated when he recently attended a football game organized by the Saudi authorities in London wearing a “Qahir Al Sa‘ud” (“Victorious over the Saudi royals”) t-shirt. Far from being rejected or harassed by the Saudi public, Dosari seemed to be welcomed as a celebrity, with many attendees competing to take selfies with him. A few days later, Dosari was accosted near his residence in London, threatened, then physically assaulted by two Saudi nationals who accused him of treason. While wide celebrations ensued online among Saudi loyalists, Dosari recycled the event to his advantage. Supporters of Dosari were swift to blame the Saudi government for the attack, placing it in the context of disappearances of other Saudi dissidents, including members of the royal family, through alleged rendition to Saudi Arabia. The British authorities are investigating the incident, and Dosari has proven just as provocative after the attack. Dosari is not offering a coherent counter-narrative for the future of the Kingdom. Yet the pride of place he occupies may largely be due to the denial of a space for discussion and dissent in the self-restoring autocratic order of the post “Arab Spring” era. Saudi Arabia is not a case apart in this context. Dosari’s cruder, more aggressive style, abandoning the artistic subtlety of Bassem Youssef or the analytic sharpness of Nadim Koteich, may be so well received because of the “re-regulation” of broadcast media that reflect the goals of post-“Arab Spring” rulers. Youssef has been silenced. Both Koteich, now funded by a Saudi network, and the Qatari-funded Youssef substitute seem to be more reserved and limited in the topics they pursue. However, the new media scene is thoroughly decentralized: controlling or censoring an outlet for criticism and dissidence may delay free expression, but the dissent will quickly reappear elsewhere online. Moreover, censoring may radicalize messages of dissent and amplify their resonance among an audience searching for alternatives to the established state narrative, as the model of Dosari’s style of critique suggests. Instead, autocrats may be forced to realize that some space for free speech does not require that elusive ascent to a democratic order. Even autocrats or “strong rulers” can co-exist with political comedy. Bassem Youssef’ was particularly damaging to the then-rulers of Egypt because these rulers practiced much that was detrimental to Egypt. However, the Youssefs of the world also provide another option: information on how shift aspects of governance particularly at odds with public opinion, as expressed through comedic commentary. In any case, the region’s new political class is now faced with a choice between the archtypes of Bassem Youssef and Ghanem al-Dosari―it must accept either laughs within or mockery without. In a region where rulers cannot afford mockery, laughs may indeed be the reasonable alternative.